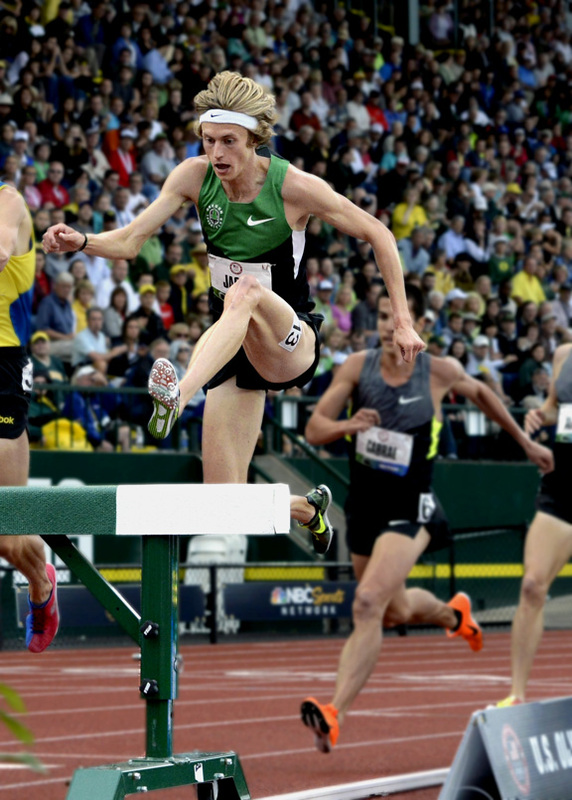 After logging personal bests at 5000m and 1500m at the start of his 2013 campaign, Evan Jager might be forgiven for narrowly missing a steeple PB at the Pre Classic on Saturday. Not simply because his lifetime best there is the American record of 8:06.81 — but because his performance in Eugene was still within the old record (Dan Lincoln 8:08.82) by two-tenths of a second. Jager’s 8:08.60 is the second-fastest performance in US history and netted him fifth place in a loaded field. He moved into fourth at the bell and was in contention to win even at the final water jump. 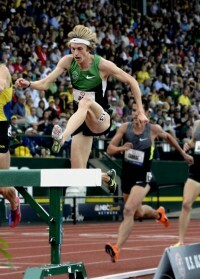 Crossing the finish line, Jager had beaten the Olympic bronze medalist from London by two seconds and captured his second Top-5 finish in a Diamond League event. Lopez Lomong also clocked an incredibly fast performance, with his 3:51.45 setting a new personal best. With a lights-out field on the track, Lomong’s run “only” netted him ninth place… but ahead of the Olympic gold medalist from London and the World Championships Bronze medalist from Daegu. According to the All-Athletics.com points table, Saturday’s performance is the sixth-best of Lomong’s career, across any distance, and is the fastest American performance at the mile or 1500m this year. Certainly, that augers good things for an athlete who has moved up to the 5000m, as Lomong has. The previous night, Elliott Heath, Andrew Bumbalough, and Chris Solinsky took to the track in a 1500m that looked an awful lot like a US championship field. “Bumbi” led the way for that trio with a sixth-place 3:40.51, as Heath and Solinsky finished behind him in eighth and ninth, respectively.